Except we have to. The all-important histogram that we use to check exposure is also rendered from the jpeg, not from the RAW file. By tweaking the jpeg settings we can therefore get a histogram that is closer to the actual data recorded by the camera’s sensor. The settings I have on my camera are Camera Neutral adjusted to Contrast -3, Saturation -1, Hue 0, Sharpness 3. Camera Neutral attempts to the get the image to an unprocessed (linear) representation of the image data. Landscape, Vivid, and even Standard all add a tone curve that increases contrast. Even portraiture mode plays with the tone curve somewhat, such that the actual tones that are being recorded may be hidden from us. From trial and error I have discovered that by reducing the contrast a touch more, as well as the saturation, I get a more linear response to the information and hence a more accurate histogram. This means I can squeeze that much more information onto the sensor without actually clipping my highlights. Purists of the histogram and the ‘Exposing to the right’ approach will holler that white balance is also affecting my histogram and that I should be using UNI White Balance to get an even more accurate histogram depiction of my exposure, and they would be correct. I have tried UNI White Balance and it did indeed work, but it also increased the time I sat behind the computer…substantially. I don’t take photographs so that I can spend my days staring at a screen. So I abandoned that approach and started using daylight WB as a default and playing with it from there according to the look of the image that I am aiming for. There are two schools of thought when it comes to the sharpening parameter. Remove it completely or add sharpening for viewing confirmation. I personally used to set my sharpening to zero, but have been increasingly leaning toward the idea of adding sharpening to the image as the second school of thought suggests. The reasoning is that the image ultimately needs to be sharpened in post anyway. We are shooting RAW so the sharpening is not actually applied to the image, only to the embedded jpeg. Since the anti-alias filter is actually softening detail, we should use a touch of sharpening so that we can see if the image is actually sharp and in focus – or so the theory goes. The jury is still out for me on this one, but I have to admit that I have gotten used to knowing when an image is sharply focused or not, despite the fact that the LCD screen is going to look slightly out of focus. Again, it comes to a working familiarity of the camera. The last setting should actually be taken as a default setting regardless of how you are shooting and that is the colour space. 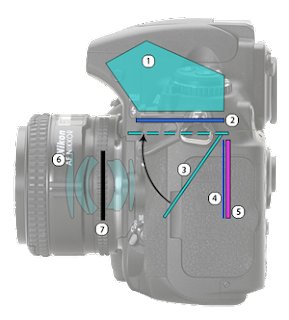 By default most camera manufacturers set the colour space to sRGB. They do this as most people who buy cameras are amateurs who are never going to do any post-production. Most users simply download the images as is from the camera and view them using the picture viewing software built into their home computers. These home computers have a monitor colour space that is close to sRGB (if not actually designed around sRGB). The problem is that sRGB has a smaller colour space than Adobe RGB, the industry standard. So if you are doing anything in the way of post-production or printing greater than postcard size, then you need to set the camera to Adobe RGB. It doesn’t increase the physical size of the image data, but it does give you more information for colour reproduction. Setting jpeg settings is therefore an easy way to neutralize the camera’s tonal and colour response so that we can more effectively expose our images. It also allows us to work on a neutral image from the start during post-production, which leads to a more efficient workflow. So, playing with settings can save hours of time in the long run. Another good read. I was just checking my 40D settings (I just had to mail my 7D away as the shutter has broke) anyway I have it set on neutral, with 0's across the board. Interesting to hear your recommendation though, I will definitely give it a go and see if it comes out easier on the processing end. I'm fairly certain I had my sharpness at about +3 on the 7D though, everything else zeros. I also agree with the white balance, I have tried the different options, but using daylight and going from there works the best for me.